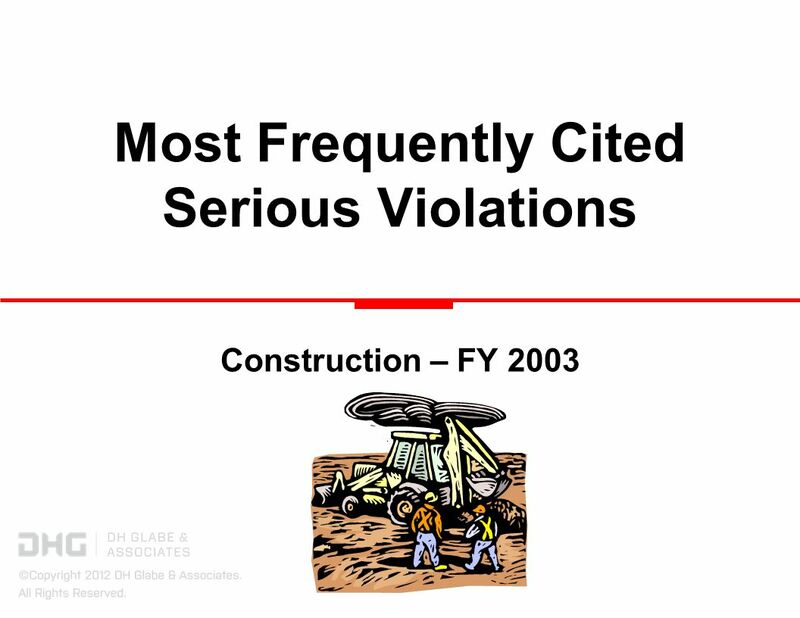 Most Frequently Cited Serious Violations Construction – FY 2003. 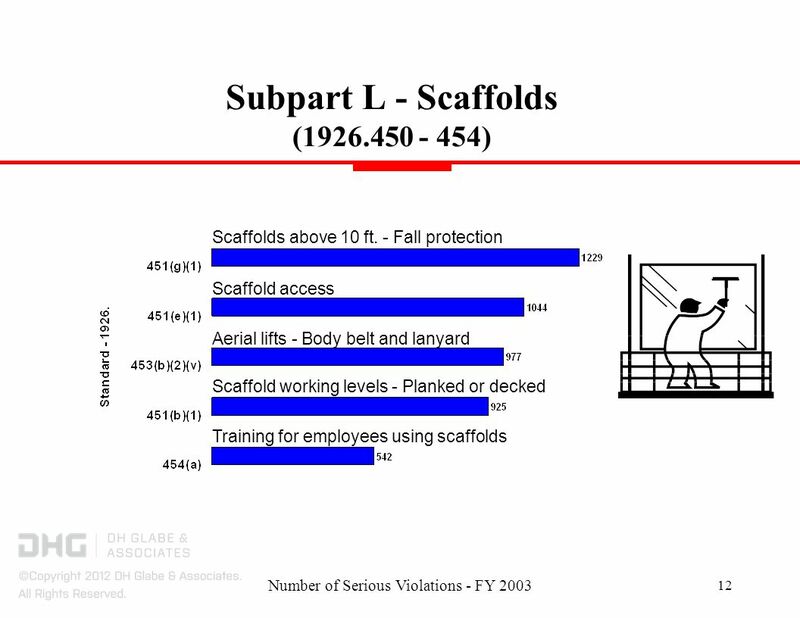 2 Number of Serious Violations - FY 2003 2 Most Frequently Cited Serious Violations in Construction – FY 2003 Employee training Head protection Scaffolds - Platform construction Excavations - Protection of employees Aerial lifts – Body belt & lanyard Scaffolds - Fall protection Fall protection - Unprotected sides & edges Fall protection – Residential construction 6 or more Fall hazards training program Scaffolds - Access Standard & Subpart - 1926. 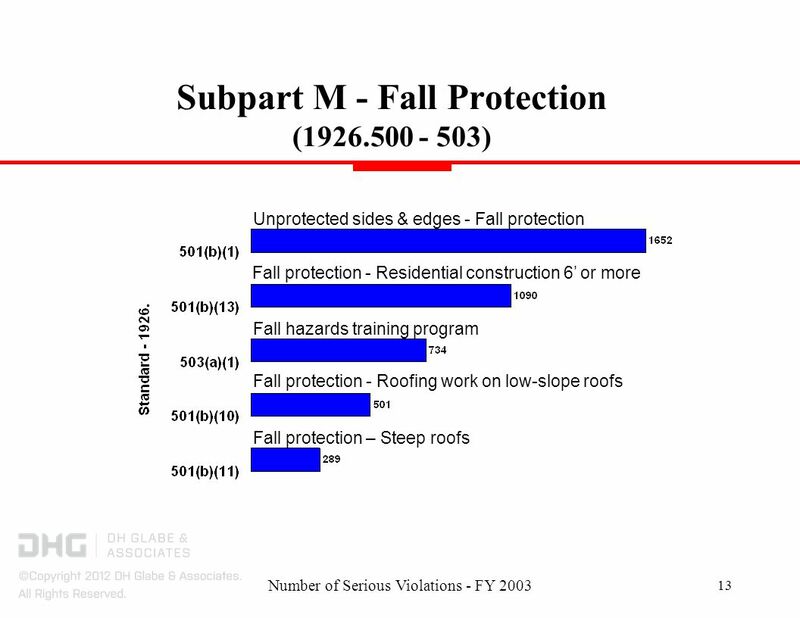 -- There were also 334 Section 5(a)(1) violations cited in construction SIC codes during this period. 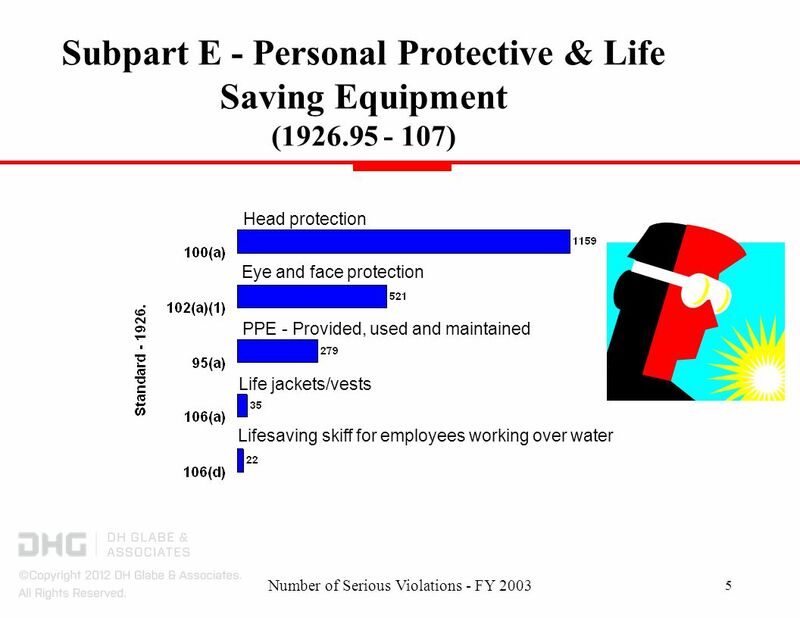 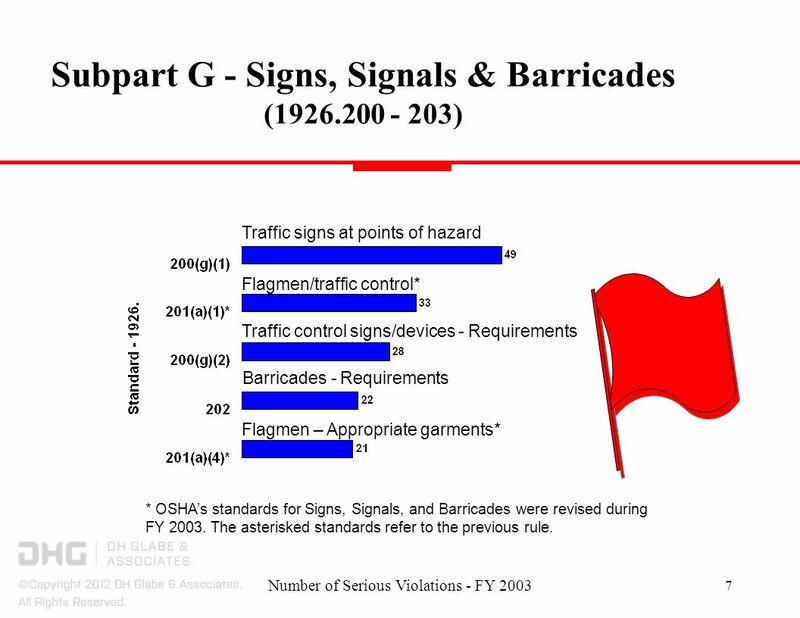 7 Number of Serious Violations - FY 2003 7 Subpart G - Signs, Signals & Barricades (1926.200 - 203) Traffic control signs/devices - Requirements Barricades - Requirements Flagmen/traffic control* Traffic signs at points of hazard Flagmen – Appropriate garments* * OSHAs standards for Signs, Signals, and Barricades were revised during FY 2003. 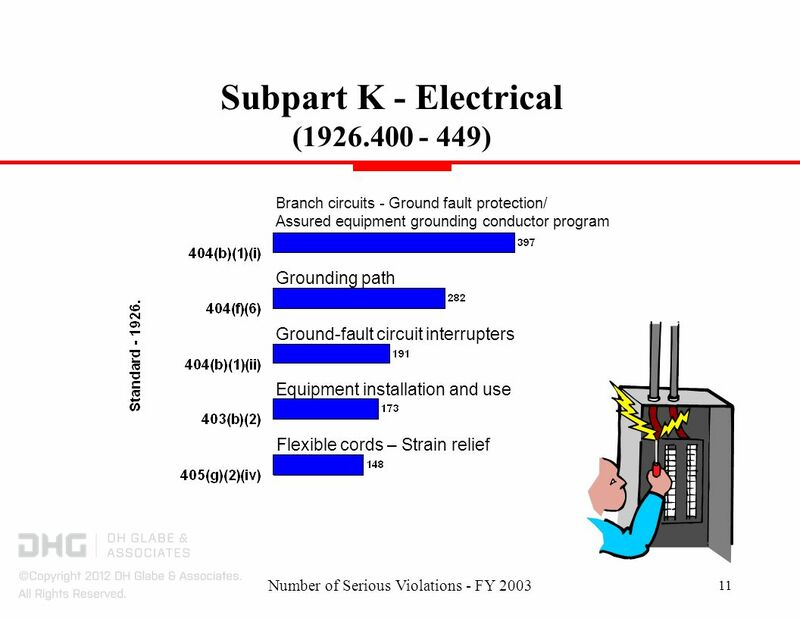 The asterisked standards refer to the previous rule. 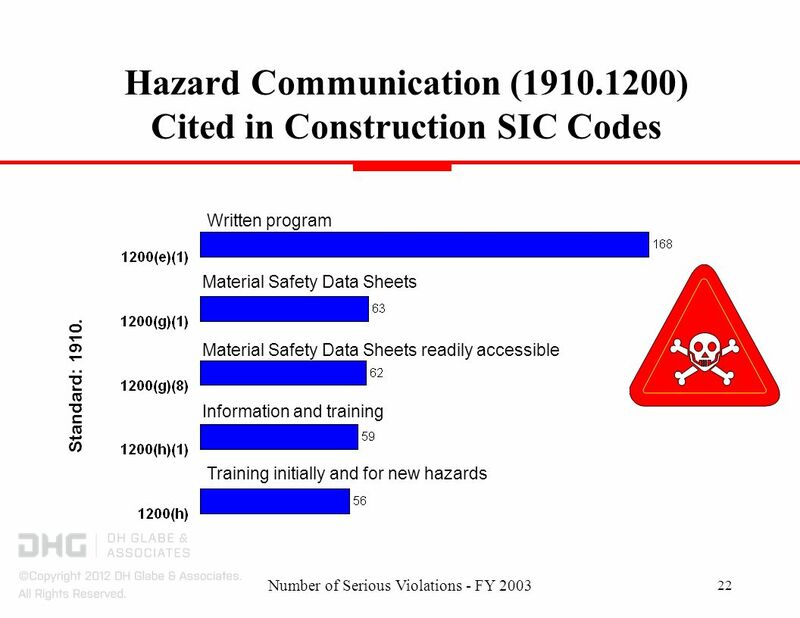 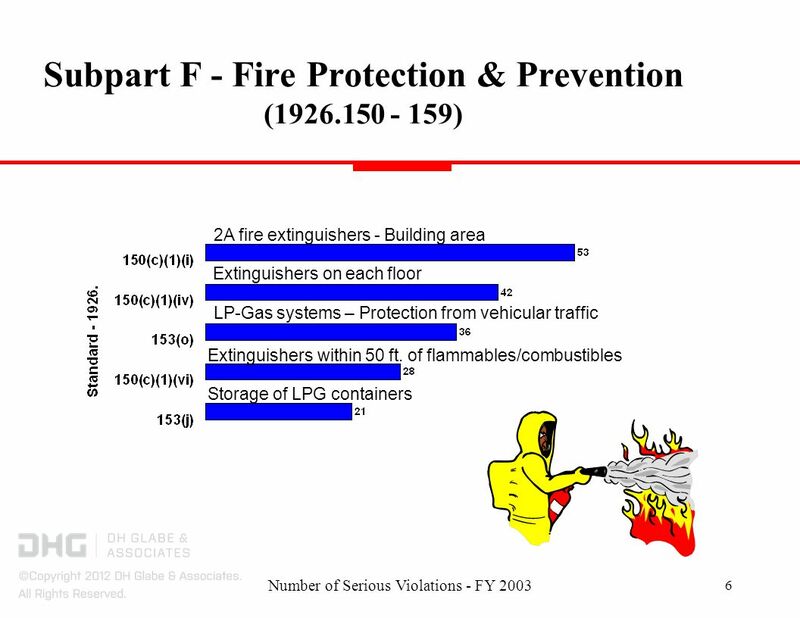 22 Number of Serious Violations - FY 2003 22 Hazard Communication (1910.1200) Cited in Construction SIC Codes Written program Information and training Material Safety Data Sheets readily accessible Training initially and for new hazards Material Safety Data Sheets Standard: 1910. 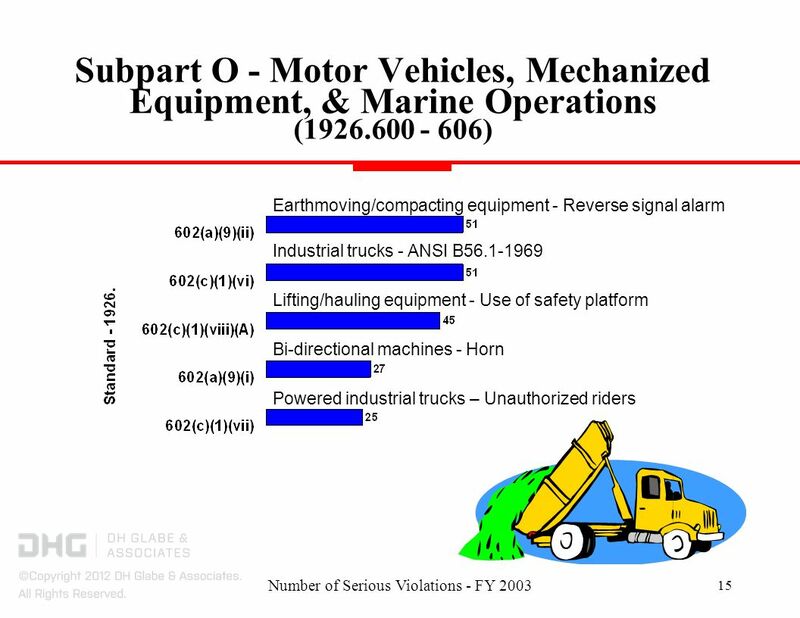 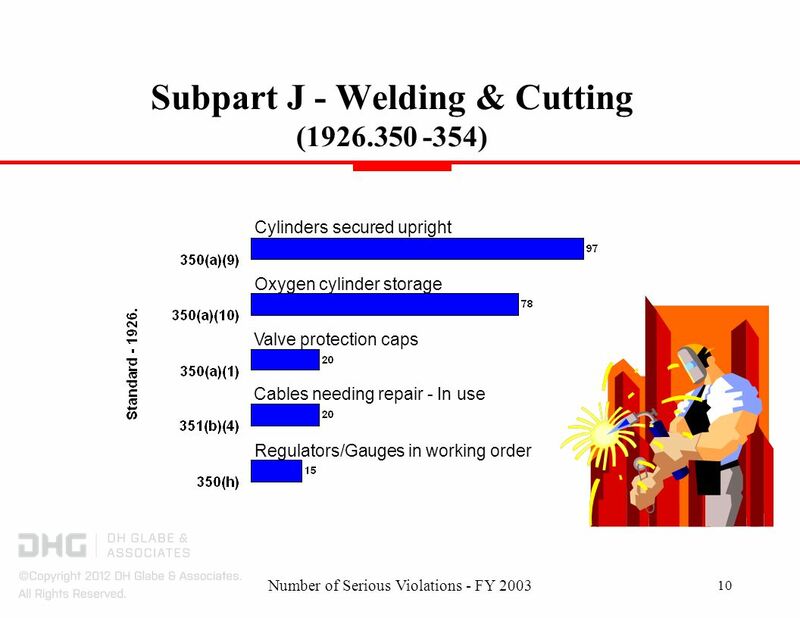 Download ppt "Most Frequently Cited Serious Violations Construction – FY 2003." 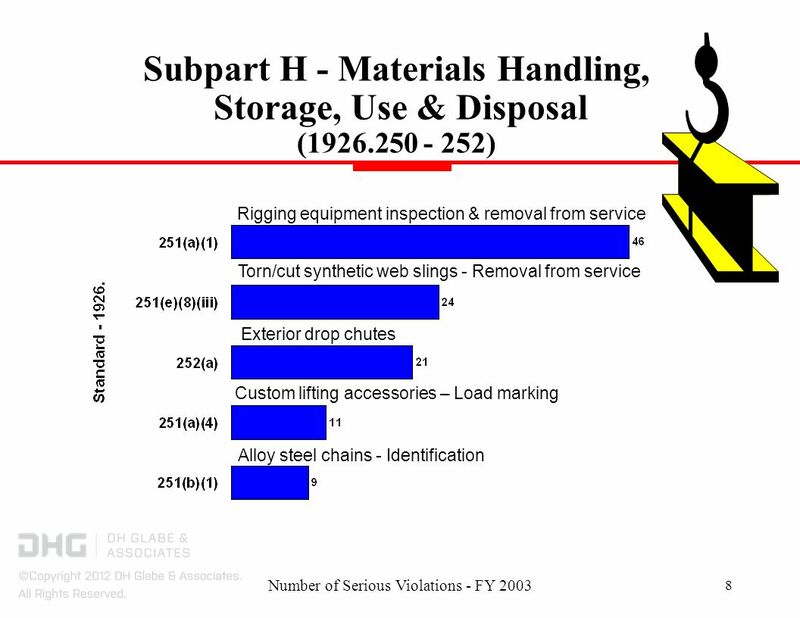 Most Frequently Cited Serious Violations Construction – FY 2004. 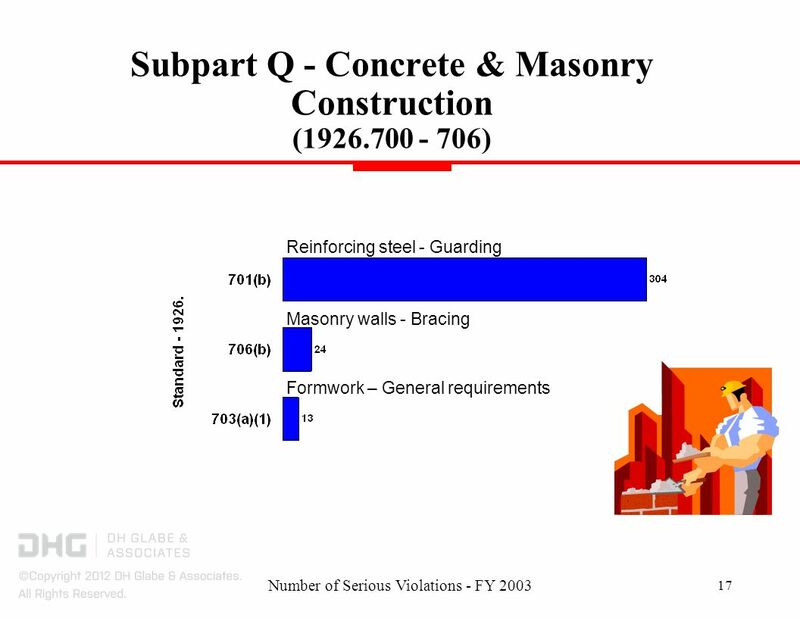 Associated General Contractors of Virginia Virginia Safety Alliance. 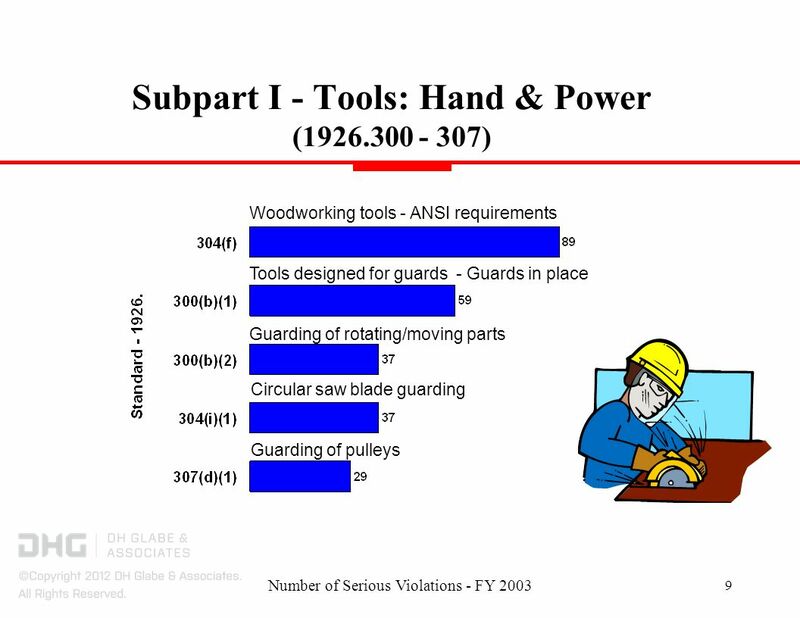 Construction Hazards and Standards MODULE 21. 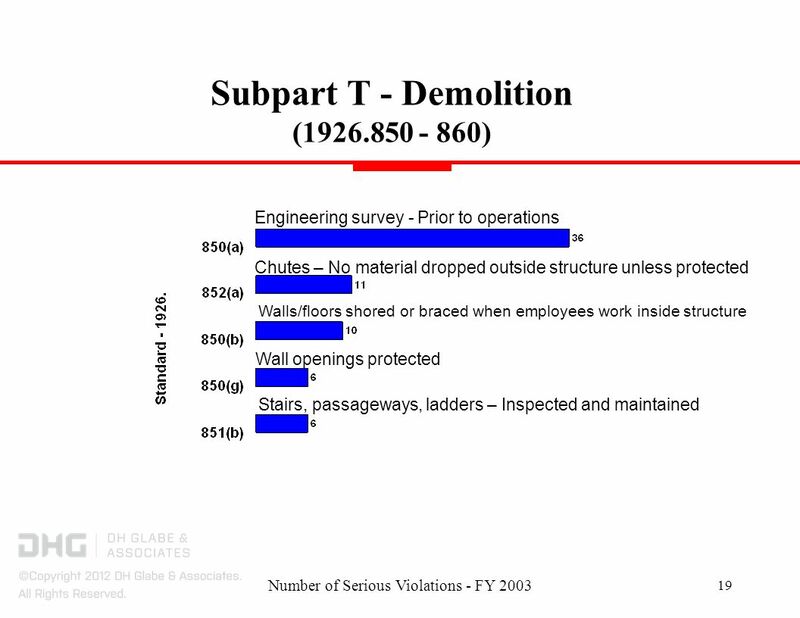 2©2006 TEEX Construction vs. General Industry Construction, alteration and/or repair, including painting. 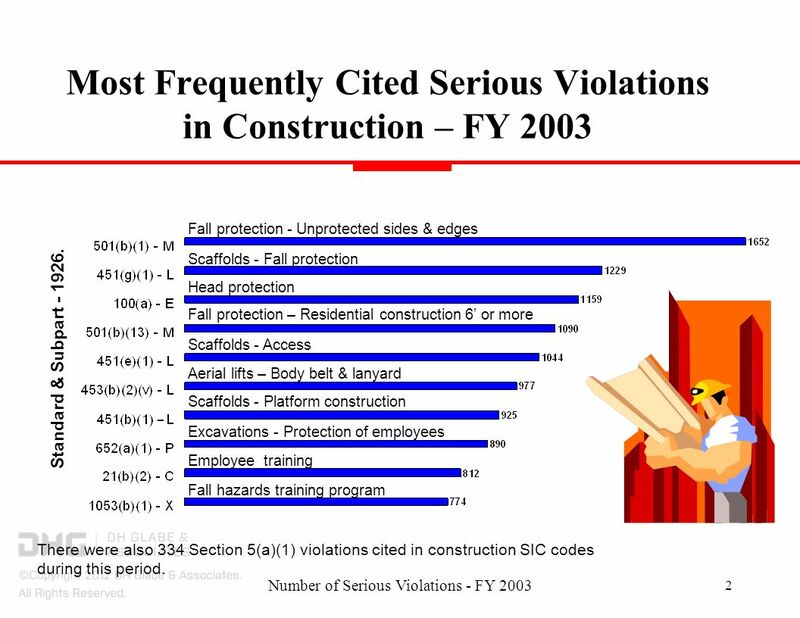 Most Frequently Cited Serious Violations Construction – FY 2005. 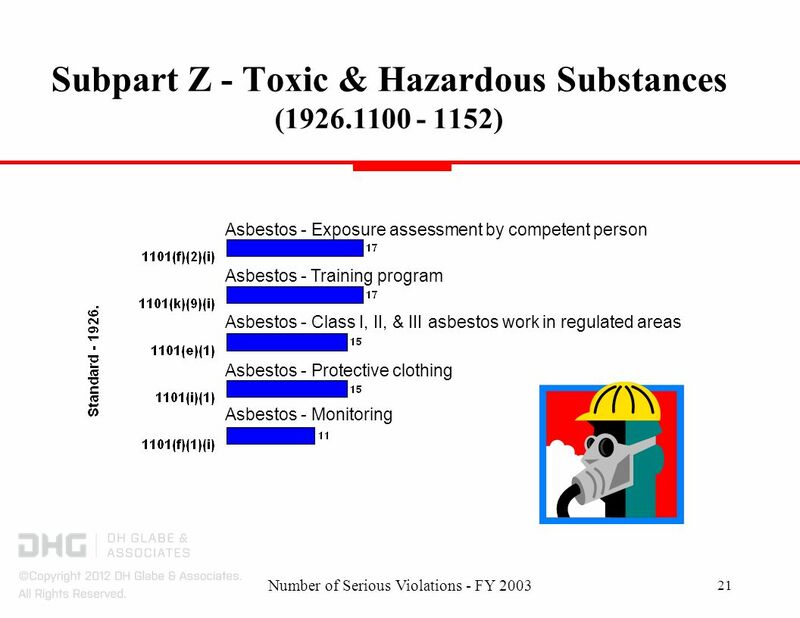 Job-Site Safety 101 May Job-Site safety is the simultaneous application of procedures, products, and employee participation. 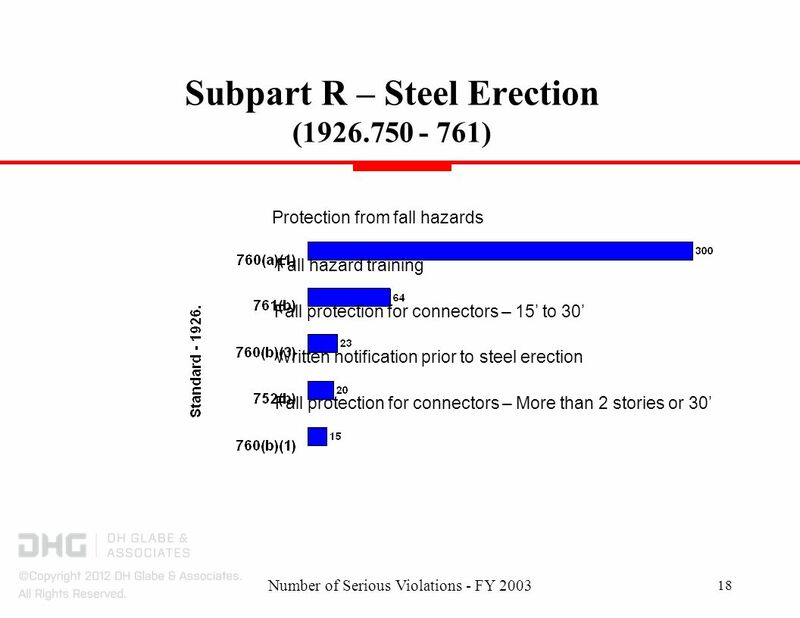 1 The New Steel Erection Rule: Highlights. 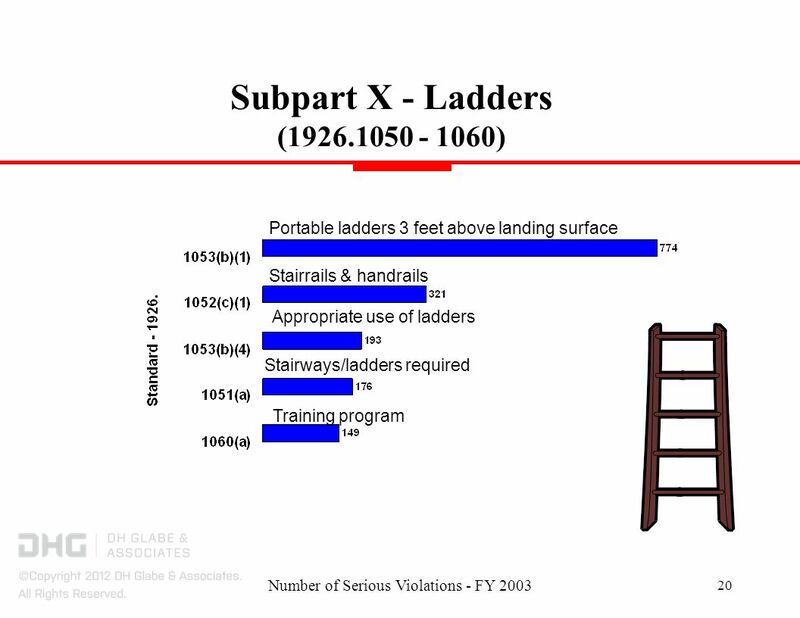 2 Steel Erection Final Rule Published January 18, 2001 Implemented January 18, 2002 Includes exceptions for. 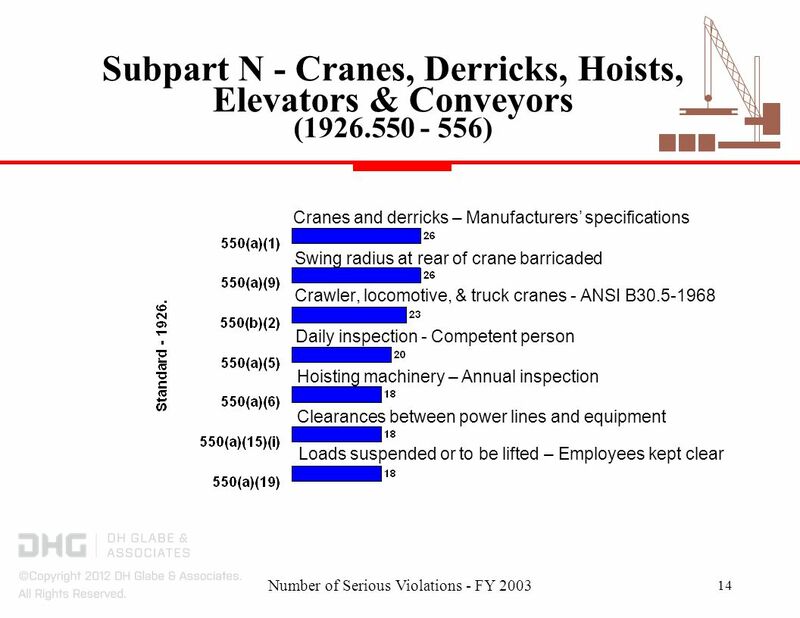 OSHA Most Frequently Cited Serious Violations General Industry - FY-2007. 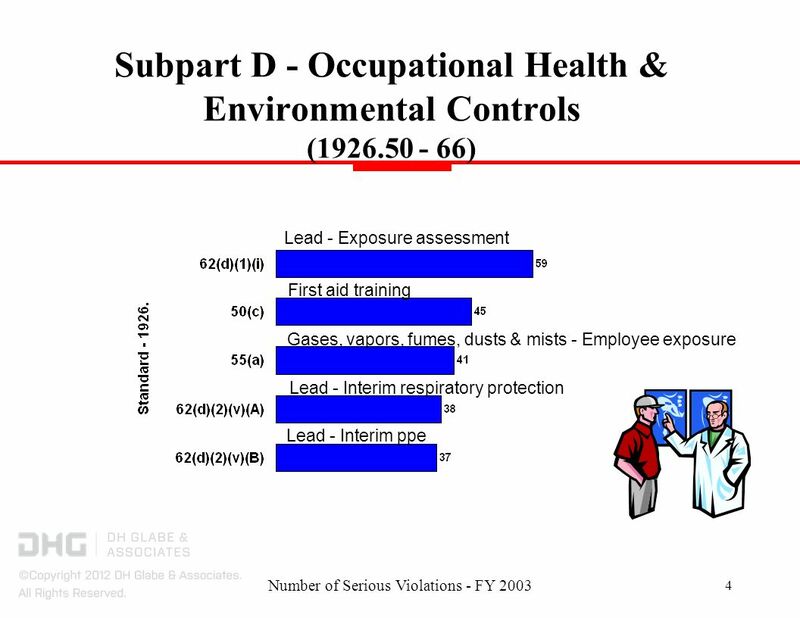 OSHA Federal Standards October 1, 2011 – September 30, 2012. 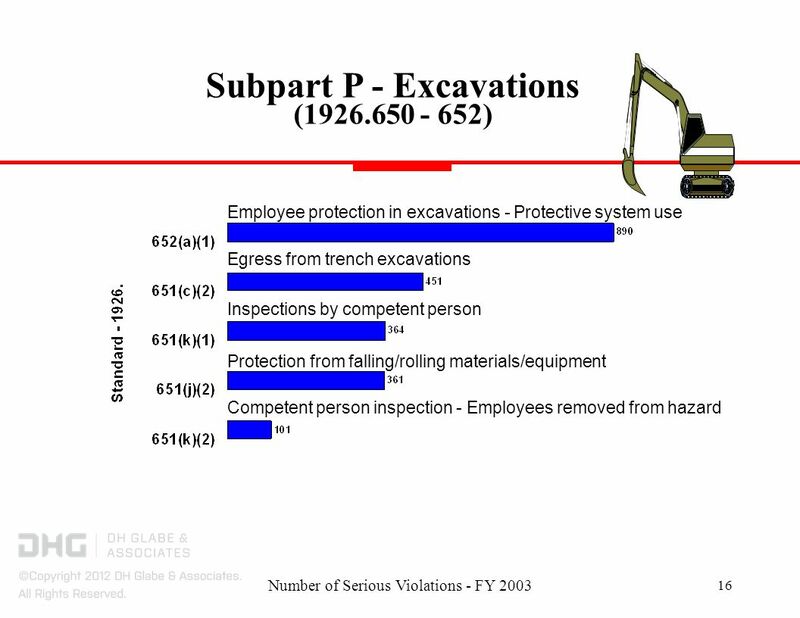 Most Frequently Cited Serious Violations Construction – FY 2011 OSHA Federal Standards October 1, 2010 – September 30, 2011.